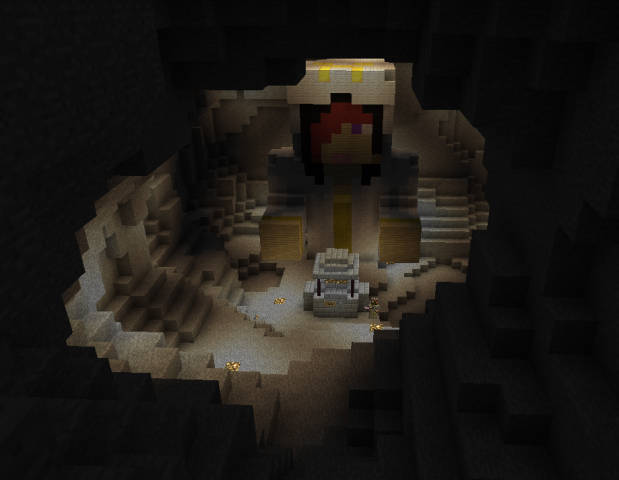 Cave of the Dead Lady is a dungeon in the North between Al Hasa and Frostbain. The dark cave ends with the shrine of The Dead Lady and a sign saying "Offer Yourself as a sacrifice!" with a button next to it. If the button is pressed, two Giants spawn. The cave has a waterfall in front of it, commonly used for traveling up out of the canyons and down into the canyons. As of 15th of August, there's no longer a chest on top of the statue. The Giants in the final chamber should not be spawned if unprepared. To the right of the statue, there's a hole in the wall which is extremely useful for fighting Giants as they will not be able to kick you from there. This dungeon is not very recommended to go to because it's fairly out of the way from many other locations; however, it makes a fine pit stop while going in or out of the canyon via the waterfall. The entrance to the dungeon (the waterfall) has been locked for a while now. A door was put in front of the entrance along with a redesign of the waterfall and the area around it on the Origins Part 1 Update. 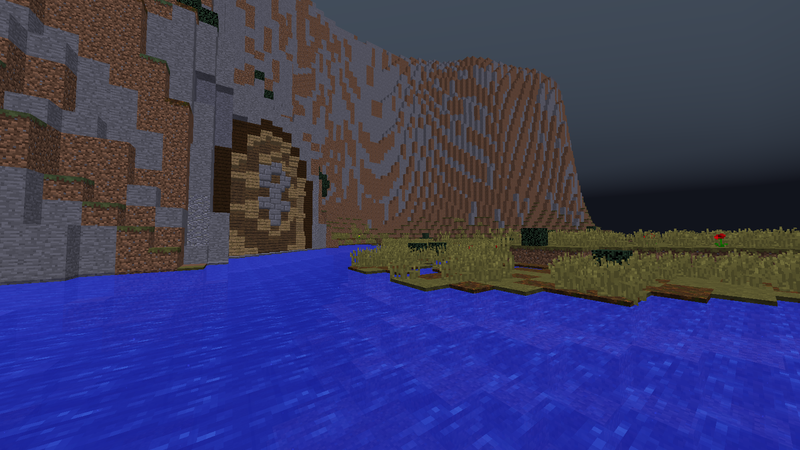 The door without the waterfall. Taken during a PvP event, 2016.
connor564, ACringyTortilla, NoHacksUrJustBad and 2 others like this.